8326 Marching set with 12 figures/sprue, 48 per box. Helmets to be off, backpacks to be on. 8327 Action set: 12 figures/sprue, 48 per box. Please feel free to comment. All suggestions will be considered. Sorry, but where are the shakos? And if there are no shakos, why is the helmet off? So they can be exchanged with a later set of Hungarians with shakos. 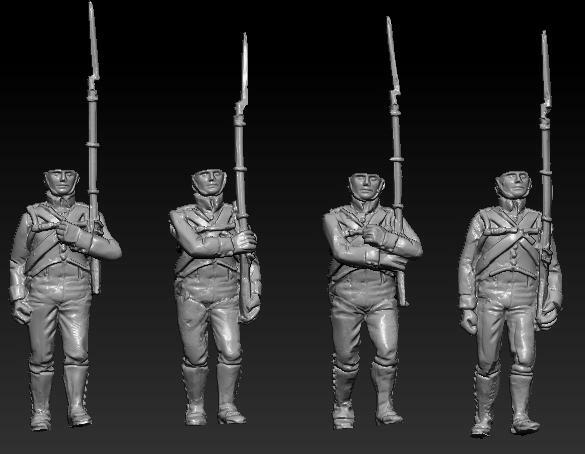 For the command set, 1 standard bearer by sprue it's enough (3 or 4 by box). 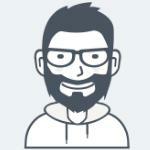 The best is to add a sapper instead for example. 2 officers and 2 NCO per sprue it is nice. so, how long do I have to wait? Again ten years? And to have both with shakos, I am supposed to buy the double? This thread is here to ask for your suggestions. Very good first impressions great to see this long awaited set off the back burner and making progress again. 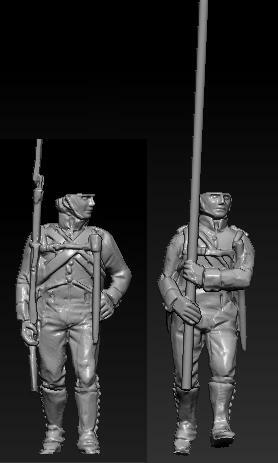 I would like to support the idea of a Zimmermann (sapper) instead of a second Flag Bearer if that is still an option, and would definitely like to see some Shako's included in the the gaps on the sprue and a Grenadiers Cap. Thanks for the update. Looking promising. Please check the hands. Those on one man are broken, and the drummer's and foot officer's hands are too big. I prefer heads with headgear and neck in one piece. If the headgear comes as a separate piece, like here, you must be very confident in your ability to produce a good fit. These look very good. 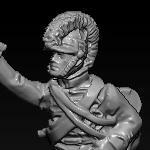 However, I feel that the whole head with shako or helmet attached is the way to go. There should also be enough shakos and helmets in every box for all the figures.I would be willing to spend more or get less figures for this option. OK, I understand, I'll keep it simple. Please issue them with both, shako and helmet. Please issue Germans and Hungarians altogether. To concur with the opinion of others, here, I too see no point in having a separate headgear with only helmets in the sprue. The kit should be complete on its own, it should not rely on the prospect of a future kit to fill its gaps, especially considering said kit might take another 10 years to get done, or never get done at all! Please, Hat, don't go that way with these Austrians. We have waited so long for this infantry. The kit should have helmets, shakos and grenadier caps for all models, and if that raises cost (which I'm sure it does), I'm pretty sure we collectors are willing to pay extra on such kit. The first priority here should be quality. Another issue (which I don't know why hasn't anyone pointed out) is the proportion of figures on the action kit. We have 4 standing (no action!) NCO'S and a mere 2 firing fusiliers per sprue! The numbers should be inverted here. 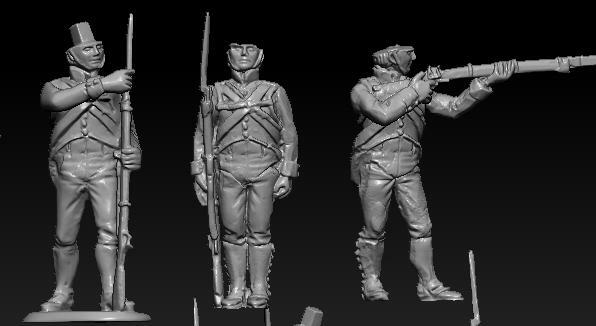 We need a lot of firing poses to build a unit in firing line, 8 per box won't cut it, and 4 NCO's per sprue is overwhelmingly excessive. 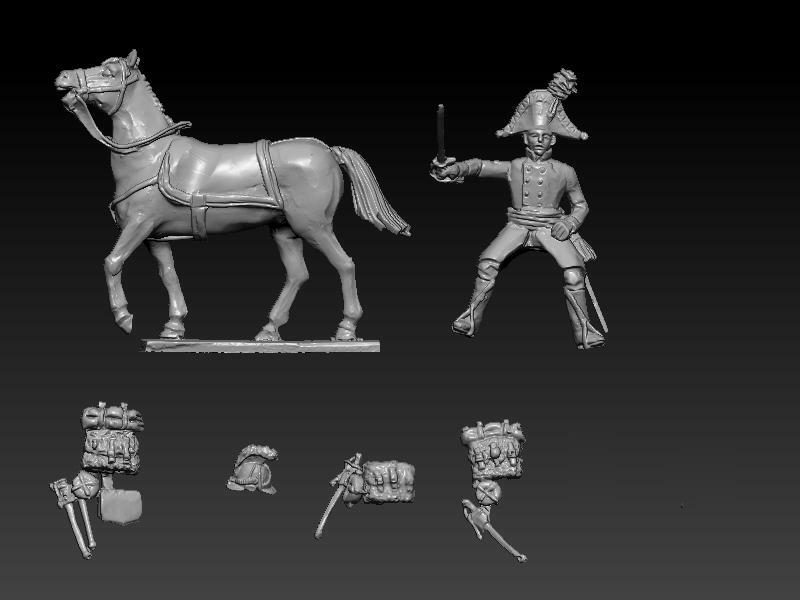 You should definitely replace 2 or 3 NCO'S on the sprue for more firing fusiliers - or drop the NCO's all together, there is already a NCO sculpt in the command kit, where it belongs. Same concern here. The full-head option seems far easier to execute, if the fit on the headgear is not perfect, the result may look atrocious. I know Hat is focused on costs here, but I'd rather pay more for a kit, and have separate full heads for each headgear option, knowing they'll fit nicely on the necks. But then again, if Hat is confident they can deliver a good fit for the separate headgear, without the models looking wonky, then great. excellent..can't wait for the release..prefer the helmets..
Good to see it coming. I join concerns about headgear as it is easier to change full head than only headgear (as a French I know what I talking about!). I support the fact we need actions poses. Finally, you'd better speed because your main challenger STRELETS announced a wave of Austrian for 2019-2020. I agree with Mateus doubts. We need more fighting/firing poses than many NCOs in the action-set. The NCO´s can been better integrated in the Command set. And I would pay also more for double heads which will fit certainly better than separate headgears. And please a minimum of 36 figures in the marching- and action-set! 48 will been still better! Most collectors will pay certainly more for it than to have many boxes with only few figures. Also, there is no drum for the drummer on the schematic of the Command set (!). 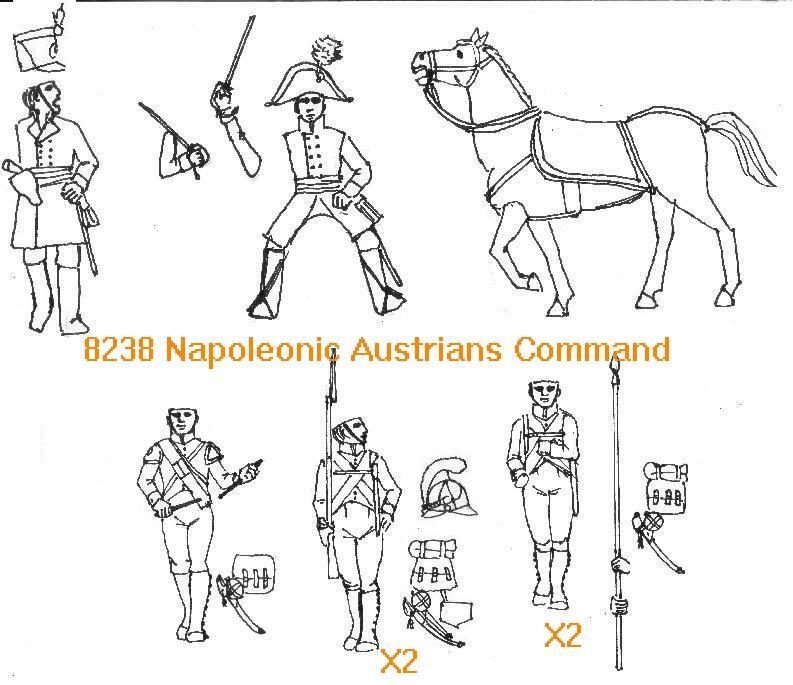 These issues aside (full options of heads, proportion of firing/NCO figures on the action set), the sets look great, and I'll sure order myself a good number of each, to completely redo my current Austrian infantry of old Hat and Italeri kits. 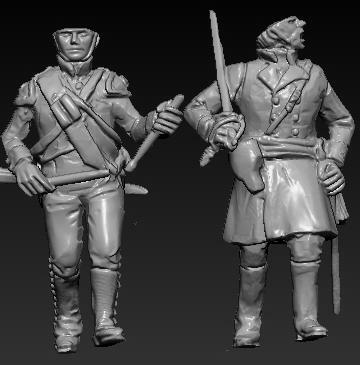 I asked you in a earlier post how will you make the Hungarians, new sculpts or rework the scanned German Austrians? Can you give us any more information on this process? Would this speed things up so that the germans and Hungarians can be made simultaneously? 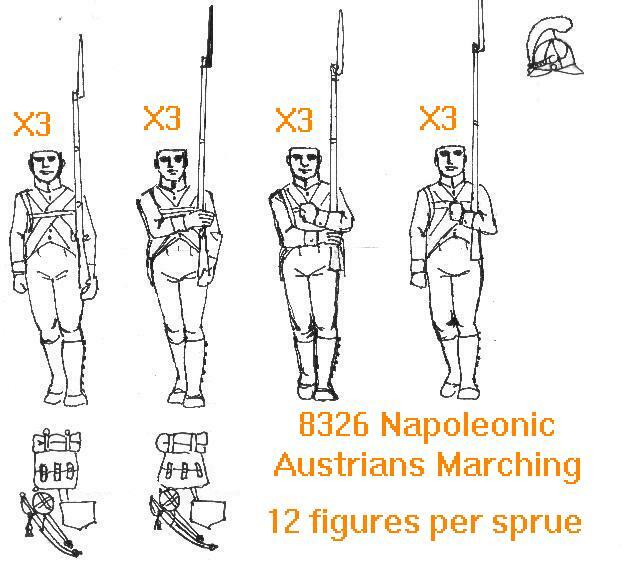 I think you should stick to two standard bearers, esp as all Austrian Regiments had two standards at least. Looks good but I do like the suggestion to have optional shakos etc in each box. Makes them even more useful/viable. Gleaming figures as ever. Good to see these developing and I hope its not too long til we see them in the shops. I like the idea of seperate heads or shakos / helmets if there is something to swop. If not, I would suggest simply produce a packet of Austrian German Infantry with Helmets and be done with it. We can always cut and swop the old fashion way, as and when the Hungarians turn up. 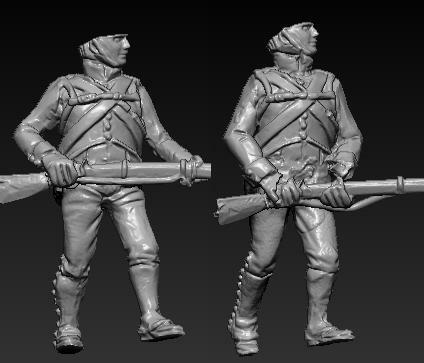 I just have a question: since the backpacks will be attached (which I prefer),it seems this infantry will be having the swords of the grenadiers . Isn't it wrong? Thanks for reassuring me ... or not.